How To Develop Children's Patience, Develop your children patience, Solution for every issue, Parents can change child attention by something New toy or thing. Statistics show that criminals often caused by impatience. 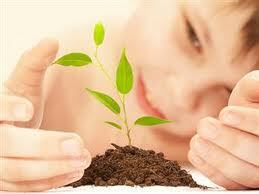 Experts suggest that parents should develop childrens patience as early as possible. If the children are not guided properly, they will take their aftermath when they grow up. For example, the children are easily controlled by their mood and once met with problems they can not stand them. It is difficult for them to find a solution calmly. They cannot take frustrations and their life is badly influenced. The experts point out that the parents should first know their childrens characteristics and then the parents should set themselves up as models to their children. If the parents have little patience, it is no doubts the children have little patience. So the parents should pay attention to their behavior in life and make themselves good model to their children. One of the methods to train childrens patience is to make them wait. For Example:There is a girl named Mary, and Mary always wants the thing in no time such as watching animations, having a cake just bought, or another story. Marys mother always tells her that she can get all of them if she can wait. During the waiting time she will sing a little song to her or let het count from 1 to 10. Then Mary can wait at least a little while, and understand that waiting time is nothing but a little while. Solution for Every issue: Parents can give the children some praise after they wait. For example, when the mother is making a phone call, she may tell the kid to stay quiet for 1 minute. If the kid waits 1 minute quietly, the mother can give her a praise saying: “You are so patient and you can play by yourself when mom is making the phone call.” But if the kid doesnt wait for 1 minute, the mother can choose not to say a word to the kid for at least 1 minute, and explain to him or her why. Sometimes parents can change the childrens attention by giving them a new thing they have never met before. For example when you are talking with your friends, you can give your kid a new toy. When the kid finally figures out what it is, you have already ended the conversation between you and your friend. Besides, you can teach the kids to learn to spend time by their own. When they are waiting, you can let them draw a picture or do some reading, anything they are interested in.